We, at Reviewitonline.net, are always searching for the most impressive new SUV models on the market. 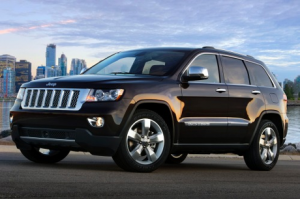 Recently, we searched the auto market for the most impressive off -road SUV models, and one model rose above the rest in terms of its rugged capabilities: the 2013 Jeep Grand Cherokee. Of course, there are many new SUVs capable of thriving in the wilderness, but the Grand Cherokee does have several stand-out features that put it ahead of the pack. Along with these off-road amenities also comes value, quality, and reliability- creating the total off-road package. Along with these impressive features, the new Jeep SUV also comes with Best-in-Class towing, Best-in -Class range, Best-in-Class V8, and Hill Assist. In short, the 2013 Jeep Grand Cherokee is an intelligent choice for drivers looking to make their winter drives a bit less stressful this season. 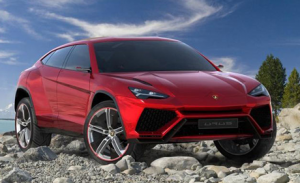 Lamborghini’s SUV Urus’ Launch Jeopardized! The automobile world was quite ecstatic when Lamborghini unveiled its spectacular concept SUV, Lamborghini Urus, at the Beijing Auto Show in 2012. But the company’s recent statements have put this excitement in jeopardy! Lamborghini is a very famous Italian sports car maker, which is famous for the luxurious and powerful car it produces. Previously owned by a number of automobile groups, it is currently functional under Audi, which is a subsidiary of the Volkswagen group. 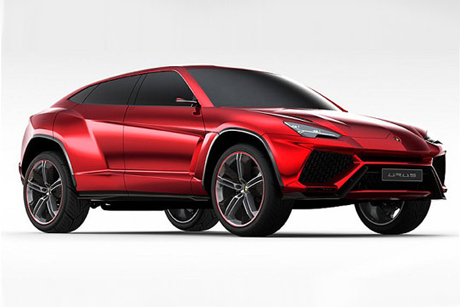 Lamborghini unveiled its Urus SUV concept, which is the first SUV that it will be launching after the LM002, which was produced in the late 1980s. But Lamborghini’s CEO, Mr Stephan Winkelmann stated that the final decision regarding the production of the Urus would be made in a few months. Mr Stephan Winkelmann said that Lamborghini currently needs to reconsider its investments plans that it will be supposed to incorporate during the situation of an economic crisis, and it also needs to rethink about the impact of the launch of the Urus on the company’s facilities. The decision making processes is expected to take a few months and the Urus, which is currently supposed to be bought in production form 2017, will be marked by a production/launching status after that. Lamborghini has never produced any SUVs in the modern days. Also, all of its current cars are typically two-seater sports cars, the most famous ones being the Gallardo and the Aventador. Urus is an all-wheel drive SUV, and the peculiar thing about it is that Lamborghini has made extensive use of carbon fibre to build the body of the SUV, making it more than 100kgs lighter than most other SUVs like the Porsche Cayenne, Volkswagen Touareg, Audi Q7, etc. Urus would unquestionably be the most stunning SUVs out there! With the excellent Italian designing and the Lamborghini logo shining mightily on the car’s body, what else would one expect? 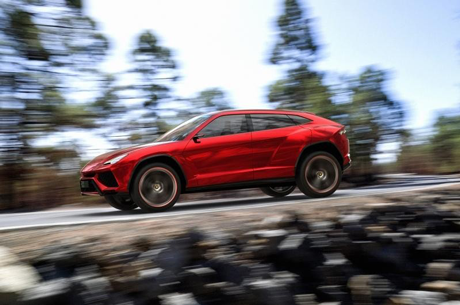 Speaking of the technical aspects of the Urus, you would most certainly find a 4000cc turbocharged V8 engine, hybridised with an electric motor. Now one might ask that the Aventador boasts of a V12 while the Gallardo comes with a V10 engine, why less for Urus? Well, Aventador and Gallardo are super cars, and the Urus is a SUV. Enough said. The engine produces an overwhelming power of some 600 horsepower with the help of the hybrid technology, which is more than just enough for a SUV of this size! Being very light weighted, the Urus will be extracting out quite a large amount of acceleration from this engine. Also, it features a very aerodynamic design as it is just 1.7 meters high. Urus is certainly a ‘super SUV’, if the term actually exists! Mr Winkelmann also said that Lamborghini would assume success of the whole Urus operation if they manage to sell 3000 models worldwide, besides the 2000 Gallardo and Aventador models they are currently selling! Let’s just keep our fingers crossed and hope for the Urus to be launched as it was planned previously! Indian SUV to Ride Global Streets! Indian automobile maker Mahindra & Mahindra has some big dreams, as the company plans to compete in the global market now. With the success of its new SUV named XUV 500, Mahindra & Mahindra has taken some strong initiatives to launch the XUV 500 out of the boundaries of its home land, India! Mahindra & Mahindra is a subsidiary of the Mahindra Group, which is a multinational corporation based in India, and functions in over 100 countries. Mahindra and Mahindra (also called M & M) is an automobile manufacturing company, which had been producing and selling only in India, but now is spreading its horizons to other countries as well. Mahindra has already planned an investment of around $120M for the this purpose. Also, the company has taken over Korean automobile company SsangYong in order to extend its reach to the countries where it has no direct contacts yet. M & M launched its new SUV XUV 500 a few months back in India, where it saw huge success. The SUV is priced quite adequately for the Indian markets, and comes with quite a number of amazing features. The vehicle features a 2200cc CRDi diesel engine, which is capable of delivering amazing fuel efficiency for a vehicle of this size. You will be able to drive for 15kms with the help of every litre fuel you have. The engine can thrust the car from rest to a speed of 60 miles per hour in less than 12.5 seconds, and the top speed attainable is 110 miles per hour. Considering the interiors and other features, the XUV 500 is quite impressive! You will find a touch screen entertainment panel at the front, and there is a driver information system as well. Safety features include hill ascent and descent control, accompanied by an efficient ABS system. M & M’s designers have done a great job with designing as well. The vehicle looks quite aggressive and bold, and makes the experience of driving an SUV quite exciting! As per M & M’s plans, the first country whose streets are to be conquered by the mighty XUV 500 is South Africa. The company has also made many other arrangements besides taking over the Korean car maker and the huge investment. These arrangements include establishing relationships with overseas companies and suppliers. Also, the company has been carrying out tests in a number of different parts of the world, analyzing the vehicles competency for the global markets. These tests have also included different climatic conditions. Plans of expanding to other continents like Australia, Europe and South America have also been made. The company does seem to have big dreams regarding the XUV 500! Mahindra & Mahindra, with its solid plans and excellent approach, has certainly set up a huge example for other home land based car makers both based in India and elsewhere. Although the SUV world has been growing ever since the truck based vehicles first came up, it was the launch of the compact SUVs that really made a major proportion of users jump into the SUV world. The compact SUVs were, and are still loved by a very wide variety of people because they combine the strength and sturdiness of a SUV with the compactness and performance of a sedan. Presently, almost all of the automobile giants have launched their models based on the compact pattern, and many of the models are still being launched! Here are some of the latest compact SUVs that would be available in the markets very soon! Have a look! 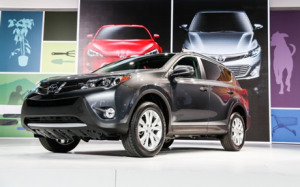 The all-new 2013 Toyota RAV4 is very much different from the 2012 RAV4, both in terms of technical specifications as well as looks! The 2013 RAV4 is much more athletic when it comes to looks. Toyota has removed the extra wheel that used to be mounted at the rear side of the 2012 RAV4, and has introduced extra groovy cuts in the body’s shapes. The headlamps also cast a very sporty image. Technically, the 2012 RAV4’s V6 engine has been replaced by a 2500cc V4 engine, and the 4 speed transmission has also been replaced by a 6 speed automatic transmission. The interiors feature amazing technologies like climate control and a beautiful 6 inch touch screen display which shows entertainment controls. Space and comfort never falls short when it comes to the new 2013 Toyota RAV4. The new 2014 Mitsubishi Outlander promises many improvements over the old model, making it a very nice SUV overall. The new model would be able to carry 7 passengers with ease as it is much more spacious than before. There are minor but visible changes in the looks of the car; the front grill has received the most prominent modifications. There would be different engines used in different models. The base model comes with a 2400cc 4 cylinder engine, while the top model would feature a much stronger 3600cc V6 engine. Mitsubishi has incorporated some amazing safety features like Lane Departure Warning and Forward Collision Mitigation in the new model, increasing the reliability by many folds. Subaru is known for the fine SUVs that it produces. Forester’s new 2014 model is also one among the many examples of this perfection. Although it features average looks, it delivers excellent performance. You will be able to find the base model with the same 2500cc 4 cylinder engine that the Forester currently features, but there would be another model with a 2000cc turbocharged 4-cylinder engine, which is obviously much more powerful. This new model will also feature a Hill Decent Control Technology. Also, the new Forester is much more comfortable as it features an increased leg room. Also, the boot space is also relatively larger, and one can carry more luggage bags now. The new engine and the better interiors surely make the 2014 Forester a SUV worth waiting for! We all drool over any vehicle that carries a metallic pouncing jaguar on its body, don’t we? Well, we might see some more of these beasts driving down our streets soon! This is because Jaguar has unveiled three more of its new products this year at the LA Motor Show, all at once! These three models were the XFR-S, the F-Type and the Range Rover. Standing in a much stronger position than before, Jaguar has certainly given a lot for car freaks to digest at one time! No speed freak can call himself one if he is not aware of the mighty features that the all new Jaguar XFS-R boasts. The company says that the XFR-S is the fastest sedan that it has ever produced. The 5000cc V8 supercharged engine, combined by an 8-speed ZF transmission leaves no doubts about that. The vehicle is capable of approaching a speed of 60 miles an hour within just 4.4 seconds. XFR-S will be launched in 2014, and would be on sale at first in the United States of America. It will come with an amazing 18 speaker music system, and very elegant interiors. What else did you expect? It is a Jaguar after all! If you thought that the XFR-S is fast enough, then you might need to hold on to that! The Jaguar F-Type is a stylish 2-seater sports car which features unparalleled fastness and strength. It comes in three models, the higher one of which features the same 5000cc V8 supercharged engine that the XFR-S does. But the F-Type leaves the XFR-S behind in acceleration as it is can touch the 60 miles per hour mark in around 4.2 seconds! The engine is capable of thrusting the vehicle to an adrenaline-gushing top speed of 300 miles per hour! One amazing thing about the F-Type is that it is a convertible. Drive down any street, and eyes are sure to be only on you! The new Land Rover Range Rover is a four wheel drive SUV, and is just as beautiful as the previous models, but way lighter! It comes with a sophisticated aluminium body, which means that there is a loss of over 420kgs in the weight of the model. This means that the vehicle rides with much more stability and the fuel economy is also better. Featuring a 5000cc V8 turbocharged engine as well, the Range Rover can run up to a speed of 140 miles per hour. It takes 5.1 seconds to reach the speed of 60 miles per hour from rest, which is pretty fast for a SUV. The interiors of the vehicle are insanely amazing! What other adjective would you use for a 23 speaker system and twin LCD display? Jaguar has made a strong and bold move against its competitors by launching these three beasts all at once! Los Angeles must have felt really lucky, for it got to see the unveiling of such mighty vehicles all in one go! With the immense growth in the SUV market, more and more people have started buying SUVs instead of hatchbacks or sedans. Moreover, the sales of these SUVs have gained a huge boost since the introduction of compact SUVs in the market. Now people can choose from a good variety of different features blended in different models. But it is now hard for a major proportion of buyers to choose from the large number of models now available. This article provides you with the five most desired and deserving SUV models that are available in the market with a nice discount. 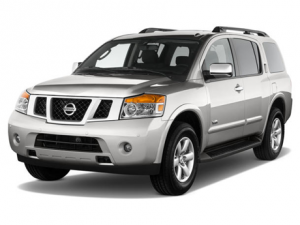 2012 Nissan Armada SV: Nissan came forward with its amazing and mighty 2012 Armada SUV. If insane power is what you desire, then there is no other SUV better than the Armada for you. It features a powerful 5600cc V8 engine, which ensures a very high acceleration for the huge vehicle. The Armada is also very comfortable and spacious, with elegant interiors. Although the fuel economy isn’t very satisfying, the other excellent features of the car will surely win your heart! 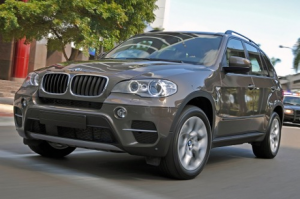 2012 BMX X5: BMW’s elegant X5 is the one SUV that you can buy without putting much thought into it! The car isn’t very flashy, but is quite bold in looks, and features all the amazing things that BMW is famous for! The 4800cc engine is more than enough for a SUV of this size. Accompanied by fantastic interiors equipped with modern technology and great feel, the BMW X5 is surely one of the best SUVs out there! 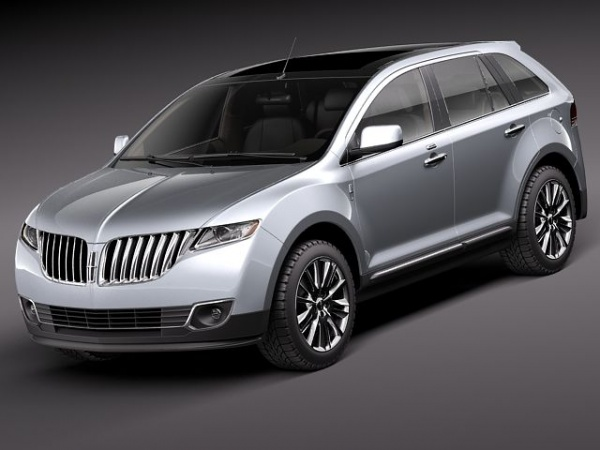 2012 Lincoln MKX: Another great SUV available in the current market is the Lincoln’s 2012 model of the MKX. 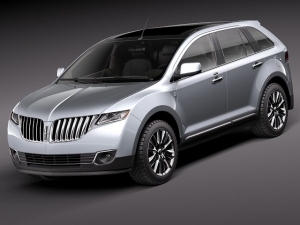 Known for its huge front grill, the MKX is a darling among all those who aren’t offended by the peculiar looks. It features futuristic facilities in the interiors, making the driving experience quite pleasant. You will also find an efficient voice-activated navigation system. The interiors are excellent, and the exteriors are bold! The engine that this SUV features is 3700cc V6 engine, which is quite satisfying! 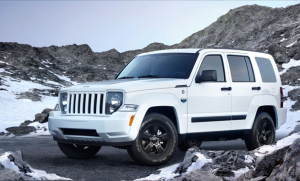 2012 Jeep Liberty: Known for its excellent four while drive SUVs, Jeep has continued its legacy with its 2012 Liberty. The Liberty is perfect for those who are looking for rough off-road usage as its built is very sturdy, so is the driving. The 3700cc V6 engine makes a good engine for the machine. However, the Jeep doesn’t offer a great driving experience on road. The mileage of the SUV isn’t very impressive, but it is quite spacious and comfortable, which dominates over the fuel economy factor. Also, the enormous sun-roof is something not all SUVs boast of! 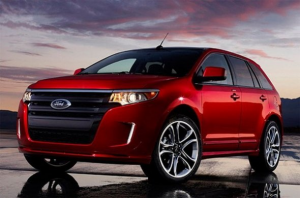 2012 Ford Edge: Ford’s 2012 Edge is the perfect SUV for any general user. With the amazing interiors and the much desired MyFord Touch System, the Edge boasts of a very pleasant driving experience. The handling is great and the car makes very low noise. A 3500cc V6 engine thrusts the SUV quite efficiently and makes the throttle very responsive. Unlike most of the other SUVs of its class, the Ford Edge is quite comfortable, especially the rear seats! The 2013 North American Auto Show is coming up next month, and several automakers are prepping to debut new, innovative models and concepts. Two automakers, in particular, Honda, and its luxury marque Acura have plans to showcase new SUV models. The new Honda SUV, which was recently teased in a released sketch and has been labeled the Honda Urban SUV Concept, is “a global concept model combining a sporty and dynamic SUV profile with a spacious, functional interior,” according to the brand. It’s scheduled to be revealed during the brand’s NAIAS press conference, which will also be available to non-attendees via a live webcast at hondawebcast.com. The new Honda appears to compete with the likes of the Mazda CX-5 and the Nissan Murano and Juke, as it seems to be a smaller version of the 2013 Honda Crosstour. The model seems like a success in the making, so it should be interesting to see how the sales numbers stack up. We expect the SUV to perhaps hold the brand’s new diesel engine, available in 1.6-liter and 1.5-liter variants for future models. The concept appears to be built on the brand’s new Jazz platform, and it could be sent to production lines by 2014. Though Acura also hasn’t released any technical specs, it’s possible that the 2014 MDX model will keep its current 300-hp, 3.7-liter V6 engine. We’ll also have to stay tuned to see if the SUV keeps its current Super-Handling All-Wheel Drive systems or use a simpler system, as seen in similar models. The 2013 Detroit Auto Show is open to the public from January 19th to the 26th. Most automakers will unveil more than forty new or refreshed models during the first two press preview days of the show, as well as the following two industry days. The charity preview, which raised $3 million in 2012, will take place on the 18th. The majority of the vehicles showcased at the event are expected to be world debuts. Last year’s Detroit Auto Show featured 42 vehicle introductions, including 38 global debuts, 26 of which were production models and 12 concept vehicles. Also, media registrations increased by about 15-20 percent last year. This past year, more than 770,000 people attended the 2012 NAIAS on the days it was available to the public, while an additional 40,000 attendees came to the events leading up to the main show. Sufficient Space: The new RAV4 is about the same size as its predecessor, though it has been granted additional cargo space. It has the ability to sit five adults. Plenty of Power: Though the optional V-6 engine is no longer available, the standard 2.5-liter four-cylinder engine is still relatively powerful, as it boast 176-hp and has the ability to tow 1,500 lbs. 3 Driving Mode Selections: More remarkable is the intelligent all-wheel drive system, which offers drivers three driving modes from which to choose. Auto mode is the most fuel-efficient, as it sends most of the power to the vehicle’s front wheels and only engages the rear axle when absolutely necessary. The Sport mode sends up to 50 percent of the RAV4’s power to the rear wheels and offers improved cornering due to the fact that it engages stability control to deliver torque when a turn is occurring. The Lock mode, for its part, works only under 25 mph and is essentially in full-time four-wheel drive mode. It will enable drivers to get out of muddy situations, etc. Improved Fuel Economy: What the new RAV4 loses in power, it makes up for in fuel-efficiency. The FWD model is rated at 24 mpg in the city and 31-mpg on the highway, while the all-wheel drive variant is rated at 22-mpg in the city and 29-mpg on the highway. Three Available Trim Levels: LE, XLE, and Limited trims are available, and each model comes standard with 60/40 split rear seats that both fold and recline, Bluetooth connectivity, a six-inch touchscreen audio system, a rearview camera, stability and traction control, and anti-lock disc brakes. Luxurious Features: Heated mirrors, fog lights, dual-zone climate control, and a power moonroof are included with the XLE model, while the Limited trim adds such features as heated front seats, a power driver’s seat, and comes with options such as a premium audio system and a blind-spot monitoring system. A Sleeker Exterior: A more attractive exterior features a swing up rear hatch (instead of the side-hinge setup), a power-operated liftgate on the Limited model, and a more angled rear profile. The new RAV4 will find competitors in several recently designed SUVs, including the Mazda CX-5, the Honda CR-V, and the Ford Escape. Base pricing has yet to be announced, but we doubt it will jump much higher than the current price tag of $23,460. What do you think of this new SUV? Reviewitonline.net wants your opinion, so be sure to leave a comment and let us know what you think, and don’t forget to stay here for additional auto news! The New 2013 Range Rover! Along with the beautiful Range Rover Evoque, Land Rover has launched its new 2013 Range Rover improving on the 2012 model of the SUV. The new 2013 Land Rover Range Rover features a lot more than the 2012 model, making the two quite different from each other. One of the most outstanding differences is the weight of the car’s body. The 2013 model is made up of aluminium, which resulted in a reduction of 420kgs compared to the former 2012 model. Wit h the reduction in around 39% of the weight, the new Range Rover is now much more fuel efficient, faster and stable! 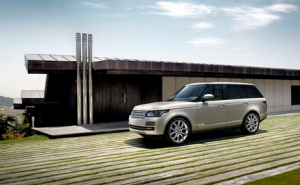 The 2013 Range Rover will be available to customers in three different models – one petrol version and two diesel versions. All of these models will be featuring an automatic transmission system, and Land Rover’s trademark –all-wheel drive system. The petrol version will come with a 5000cc V8 engine. Sounds insane, right? There are two different trims for the diesel versions, one featuring 3000cc TD V6 engine and the other one featuring a 4400cc SD V8 engine. The petrol version’s 5000cc engine produces power of 375 horsepower and a torque of 375 lb. ft. The supercharged engine produces 510 horsepower and torque of 461 lb. ft. The top speeds that both trims attain are 130 and 140 miles per hour respectively. Also, these models reach the 60 miles per hour mark in 6.5 seconds and 5.1 seconds respectively. Luxury is something that you will find in abundance in the car’s interiors. With an unparalleled sound system which comprises of over 20 speakers, you also get a climate control system and two LCD displays. The first display is used for displaying important information, while the other, touchscreen display is for entertainment and other controls. The exteriors aren’t very different from the 2012 model. You will notice slightly improvised detailing in the headlamps, which now feature daytime LED lamps, making the car look much more aggressive. Land Rover has planned to make the interiors a bit more spacious by increasing the wheelbase slightly. You cannot question the overwhelming success of the Land Rover’s Range Rover series. Land Rover seems to have got just the right blend, luxury and utility for this powerful SUV. Land Rover has certainly added a great car to its already amazing collection! About Land Rover: Land Rover is a UK based SUV manufacturing company, which is known for its impeccable four wheel drive systems. Along with Jeep, Land Rover is the biggest four wheel drive automobile manufacturing company in the world. Formerly owned by the BMW and then Ford Motors, the company’s operations are now carried out under the Indian Automobile Company Tata Motors. The Range Rover series is known for featuring stylish and strong SUVs, and was incorporated in Land Rover’s fleet of cars in 1970. 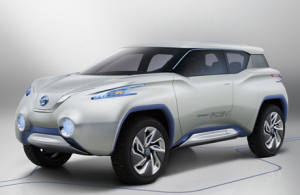 Nissan Terra SUV Concept – The New Green SUV! With the rising awareness amongst individuals and governments alike across the globe regarding the rapidly increasing problems of environmental deterioration, the automobile giants have planned extensively for switching from more traditional car models to more environmentally friendly ones. The 2012 Paris Motor Show showed that the Japanese automobile maker Nissan is paving the way in green automotive technologies. The company unveiled its Terra SUV Concept, which uses Hydrogen gas as the fuel, and is now waiting for the adaptation of Hydrogen as a fuel by governments of its customer countries. The unique thing about Nissan’s Terra SUV Concept is that it features a Hydrogen propelled engine and boasts an all-wheel drive system! It produces no harmful emissions and uses no fossil fuels for its functioning. The car contains two electric motors, one which drives the front wheels and a second one which powers the rear wheels. Hydrogen helps to run an engine and produce more power for the batteries of the car. With the availability of hydrogen as a commercial fuel, the Terra SUV would certainly be among the favorites of customers and critics both! Terra is certainly a SUV of the future, both by its functioning as well as its looks! The exteriors of the car are, in one word, spectacular! With the sleek and smart headlamps and tail-lamps, the Terra SUV looks aggressive. The bold looks are complimented further by the stylish side glasses. The car looks quite unique compared to conventional models that we see driving down the roads today! The interiors of the car are equally stylish and elegant. Currently, Nissan has unveiled a 4-seater version of the car. A peculiar thing about the interior is that the seats are arranged in a diagonal pattern, which makes the rear-seated passengers follow the shoulders of the front-seated passengers, and not completely behind them, as is in the cars of today’s world. A wood-acrylic blend has been used to enhance the looks and overall feel of the interiors. Although the company has no plans to add unrealistic and futuristic technologies to the cars interiors, it does feature one accessory that does seem to win the hearts of people! Step inside the car behind the steering wheel and you will find a tablet computer docked in front of you! This tablet can be undocked and carried anywhere, as it works like any other tablet, but it keeps itself connected to the vehicle at all times. You can use the tablet for navigation, entertainment, or a variety of other functions when it is docked inside the car! Nissan has indeed leaped ahead of its rival SUV makers with the help of its new Terra SUV Concept! All that it is waiting for now is the prominent usage of Hydrogen gas as a fuel, which will be marked by the launching of the Terra in the markets for sale!